For those of you who know me and maybe those of you who don’t – I like stamps. My last post included a mention of stamps and I have mentioned stamps and letter writing several times. But, I love stamps, postage stamps, commemorative postage stamps to be precise. And, I realized that most of us don’t write letters or even get stamps on letters, because we aren’t getting letters or writing letters, anymore. 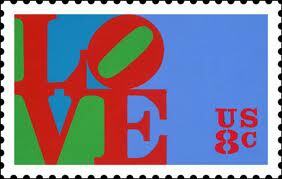 When I was in fifth grade, I discovered stamps or began to notice them. My dad had moved to Saudi Arabia and parents were separated, though I didn’t know it at the time. He wrote diligently and when we got a letter and we were expected to write back – I disliked it (okay, it is not the first word I used, but I’m working on removing that word from my vocabulary, it’s a slow process). However, what I did like were the cool stamps that came on the letters – from another country and another place. So, I began collecting stamps and I discovered one of my classmates collected them, too and I discovered a new thing – girls. I remember her name was Chase and we were in Mrs. Drew’s fifth grade class together – with John, David, and Derek to name a few -I follow them on Facebook and we have shared a few way back moments and memories. Chase had been collecting stamps longer than I had and brought me some to share and we talked stamps together in free time in class. I collected stamps for a few years and I still have my collection. I learned that my dad collected stamps when he was a kid and I have his collection with mine, in the basement. When he re-married, I discovered Julie’s (my step-mom) first husband collected stamps, and I have his collection, it, too, is in the basement. So, I have a history as a philatelist – which means one who collects stamps. I have re-discovered them repeatedly, since. My recent re-discovery has me finding stamps to affix to my postage and write about, here. I have had the idea to write (blog) about stamps and what they mean to me for over a year, but I just haven’t done it, yet. It’s because of time and it’s really one of my fears – that I won’t have the time do the things I want to because I’m wrapped up things I have to do – things which are required of me. Nevertheless, this weekend, when I went to mail Olivia’s Girl Scout cookies to Aunt Jill, I picked up a few new commemorative stamps to add to my ‘collection’ – stamps I use on letters. I picked up the current USA Philatelic catalogue and made yet another discovery, eureka – the Stamp of Approval stamp blog! I jumped into it and read a few posts and was sad to learn I had missed – well almost missed their challenge – a month of letters. Upon reflection, I have written a fair amount this month, a few thank you notes and a letter or two to my mom. However, that was it. So yesterday, I finished the letter I started to Julie, wrote a thank you note to Olivia’s teacher and started a letter to my mom and I have few more notes to write – but that brings me back to my big fear – time. I read a post this morning to one of the blogs I follow, Lessons from Teachers and Twits, it resonated with me and I commented. Please, peek at what she wrote and discover her blog; it’s good, refreshing, and thought provoking. In the process, I discovered I have more to read and explore. Where am I gonna get the time? Hahahahaha! So, I had better jump up, jump in and get moving today is not gonna pass me by. I have a load to do and load to learn. Making the Days Count, one day at a time, even one letter at a time. If you had to write one letter today whom would, you write and what would you say? Hi Clay! Thanks for the nice shout out. I don’t collect stamps, but I have been thinking about them. My son’s bar mitzvah is coming up and I was wondering if I should splurge on those expensive, personalized ones. My husband looked at me like I had eleventeen heads. They can’t read your cursive because it is no longer being taught in many schools. Cursive is now a “font option” since kids are on computers almost exclusively as early as 4th grade. The only time TS writes me letters are from summer camp. I cherish them. You have no idea. there is something lost in our digital world when we don’t write a short note but send a text…. it does make me sad, but I keep working at it! Making the Days Count, especially when you have a letter in your mailbox! Just wrote it before I opened my email and this blog. It was a post card! to my 78 year old cousin in PA (who my sister and reconnected with a few years ago). The Post card was about Texas rodeos and this is GO Texan time in Houston. I love mail and look forward to getting your letters and reading your blog.